Two directors of Sewell on the go have further cemented their commitment to the company by becoming shareholders. 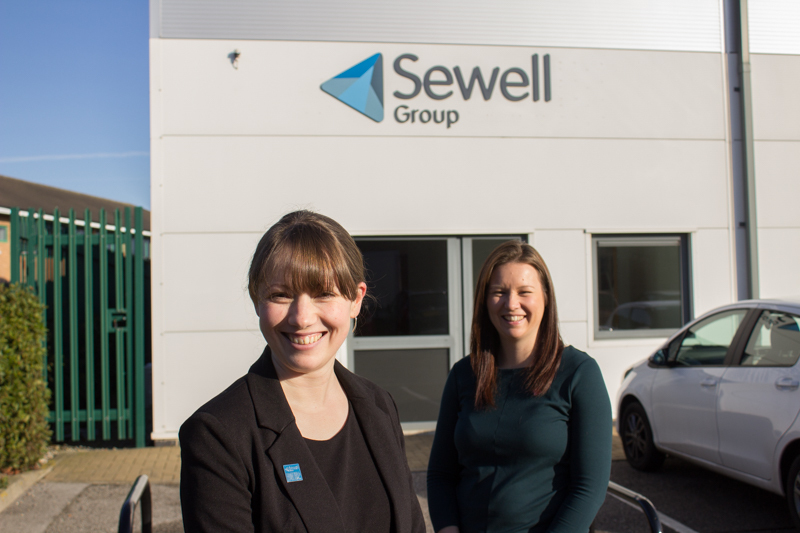 Katherine Batch and Alex Mortimer have been familiar faces within the retail division of the Sewell Group business for several years and became directors on the retail board last year. Alex, who has worked for the company as Head of Retail Finance since 2009 and is now Finance Director, admits she has always been ambitious. She said: “The big thing for me is the commitment. It’s a two way thing – the company has committed to me and I have committed to them. This is me now for the rest of my career. I’m excited because it’s a challenge and I’m up for it. “This shows what a people company Sewell is. To give this opportunity to people is quite unique. “If you put your mind to something, you can do it. I want to be around to grow the business. It’s doing well but has so much potential. We want to build the business and take our people on that ride with us. Katherine has worked for Sewell since 2002 after joining the business as a Sales Assistant and working her way up to Sewell on the go Sales Director. She said: “Becoming a shareholder means the business recognises I intend to be here long term. “It doesn’t change my job role, who I am, or what I do, but it’s about planning for the future and it shows confidence. “I have seen a lot of changes since I started and we always try to look out for other opportunities. “The future looks bright and exciting, and no two days are ever the same. Sewell on the go, which serves more than four million customers every year, is currently ‘Forecourt Trader of the Year’ after scooping the top accolade at the national Forecourt Trader Awards in London. Sewell on the go Managing Director Patrick Sewell said is delighted to see Katherine and Alex progress within the business. He said: “It’s about securing the future of the business, recognising and investing in people who are making us what we are. They are fundamental parts of our business. Patrick said although Katherine and Alex have both carved their careers differently, their dedication and commitment to the business is mirrored. “Alex has been methodical in mapping out her career, going to university and has been successful in everything she has set out to do in her career, from her degree to working for a corporate partner,” he said. “Alex knew the business before she joined and brings something different to the party because she has had the opportunity to see it from a different angle. “Katherine is born and bred both in terms of how we do things as a group and in retail, and she has evolved with the business. “She started with part time work and was doing a course with a view to going into childcare when she started work here. But this caught her imagination.